ACROSS industry, where numerous applications require strong but light-weight materials, aluminium and its alloys are often the metals of choice. Not only does aluminium exhibit excellent strength-to-weight ratios, but it is also naturally corrosion resistant, making it a perfect fit for use in extreme environments. Using photo-resist and etchants to chemically machine selected areas accurately, the etching process is characterised by retention of material properties, burr-free and stress-free components with clean profiles, and no heat-affected zones. Coupled with the fact that photo etching uses easily re-iterated and low-cost digital tooling, it provides a cost-effective, highly accurate, and speedy manufacturing alternative to traditional sheet metalworking technologies such as stamping, pressing, punching, and laser and water-jet cutting. This makes etching ideally suited to extreme environment applications, notably those used in aerospace, which benefit from the material properties aluminium offers. The key to successful photo chemical etching is strict process controls. Precision Micro’s success in etching aluminium comes from a focus on the etchant chemistry itself, temperature control, and the cleaning and preparation of the metal. All these factors are inter-related, and one can have a negative impact upon the other, so success is based on considerable expertise honed over many years and over numerous projects. Aluminium releases heat energy (i.e. becomes exothermic) when it comes into contact with chemical etchants, meaning conventional etching will partially destroy the photo-resist that protects areas of the metal from being machined. This compromises the etch, and produces sub-optimal products. Couple this with the fact that aluminium is famously non-corrosive (and etching is a corrosive process) and the issues are obvious. Precision Micro has been involved in countless successful projects involving photo chemical etching of aluminium. 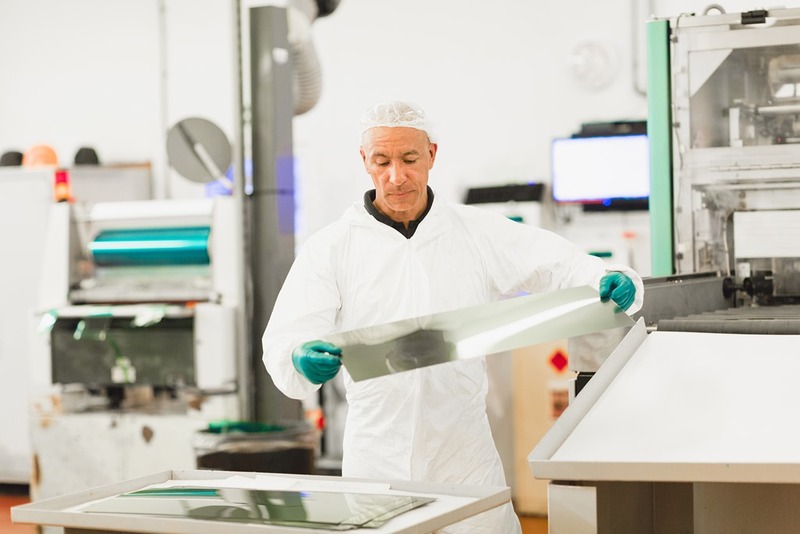 An AS 9100- and IATF 16949-accredited photo etching supplier, the company specialises in photo etching aluminium components for the automotive and aerospace sectors which use the material as its light weight means greater fuel efficiencies and lower carbon emissions. A market-leading helicopter manufacturer has been in partnership with Precision Micro for more than 20 years for the supply of its aluminium air intake grilles. Photo etching was selected as traditional metalworking introduced stress into the grille, etching retaining material characteristics during manufacture. Photo etching is also benefitting a leading aerospace OEM producing commercial aircraft in-cabin dehumidifiers. The heater plates used in the assembly require subsequent stacking of multiple, complex designs which can be set up cost-effectively with etching. The process was preferred to stamping, which would have required numerous costly steel tools, as well as being unable to achieve the necessary cross section of the profiles essential to thermal characteristics. 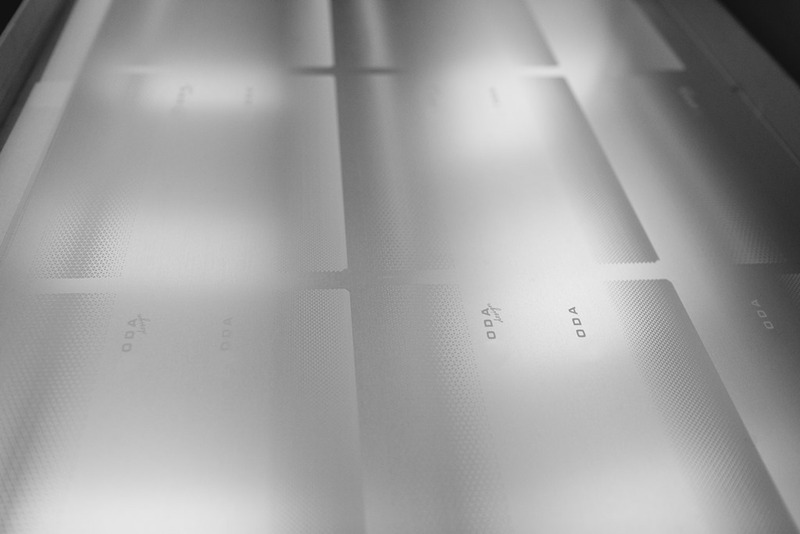 The huge demand for aluminium across a range of pan-industrial applications is the spur for Precision Micro to constantly innovate and refine its photo etching expertise in order to exceed customer expectations and constantly manufacture innovative high-quality products. 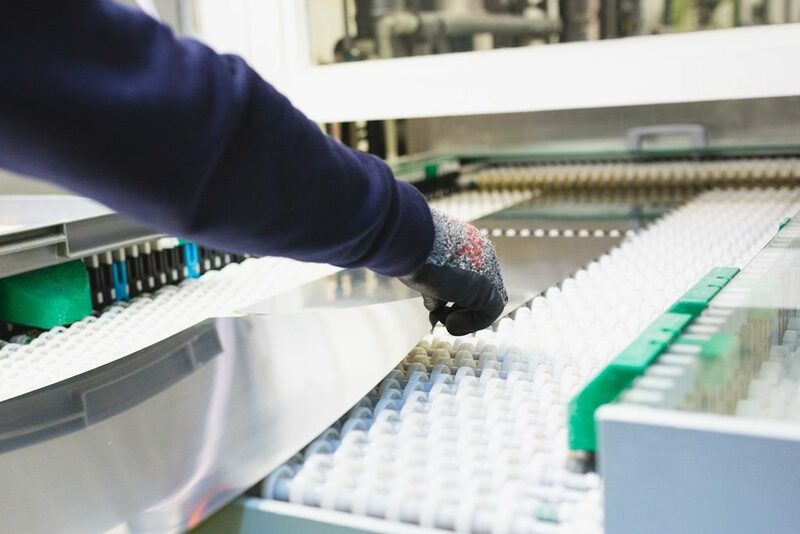 Through a mixture of over 50 years of experience, capital investment, and research and development to optimise chemistry and process control, Precision Micro is able to provide consistent, accurate, and repeatable manufacture of aluminium parts using photo etching. For over 50 years, Precision Micro has pioneered photo chemical etching. The company has won a reputation as the industry innovator, trusted to deliver by major global manufacturing concerns across multiple markets. Micro PR & M Ltd.